Jerry Lewis, comedic legend of the 1950s and 60s, best known for his films 'The Bell Boy' and 'The Nutty Professor' dies at age 91. Comedian, singer, actor, and filmmaker Jerry Lewis, best known for his comedic duo with Dean Martin and a string of comedy films including The Nutty Professor and The Bellboy, passed away at age 91 Sunday at his home in Las Vegas, Nevada. 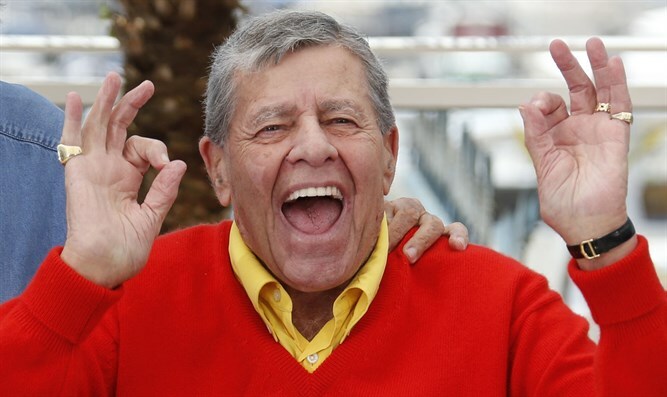 "Very sadly Jerry Lewis has passed," his agent Jeff Wijtas told AFP. Born Joseph Levitch, Lewis first achieved stardom as the second half of the Martin and Lewis comedy duo with singer Dean Martin. Performing at live events, on radio, and later on television, the two costarred in 16 films before splitting up in 1956. As a solo act, Lewis continued as an A-lister Hollywood actor throughout the 1950s and 1960s with a number of blockbuster hits including 1960’s The Bell Boy, 1963’s The Nutty Professor, and 1964’s The Patsy. Throughout his career, Lewis championed efforts to research and treat muscular dystrophy, running annual television fundraisers for the Muscular Dystrophy Association and serving for years as the organization’s chairman. Lewis raised nearly $2.5 billion for the MDA over close to 45 years. His work on behalf of people suffering from MD earned him a 1977 Nobel Peace Prize nomination. Lewis survived a number of serious medical conditions over several decades including heart disease in the 1980s, suffering a heart attack and undergoing coronary bypass surgery; prostate cancer in the early 1990s; diabetes; and pulmonary fibrosis. Lewis is survived by his wife and six of his seven children.